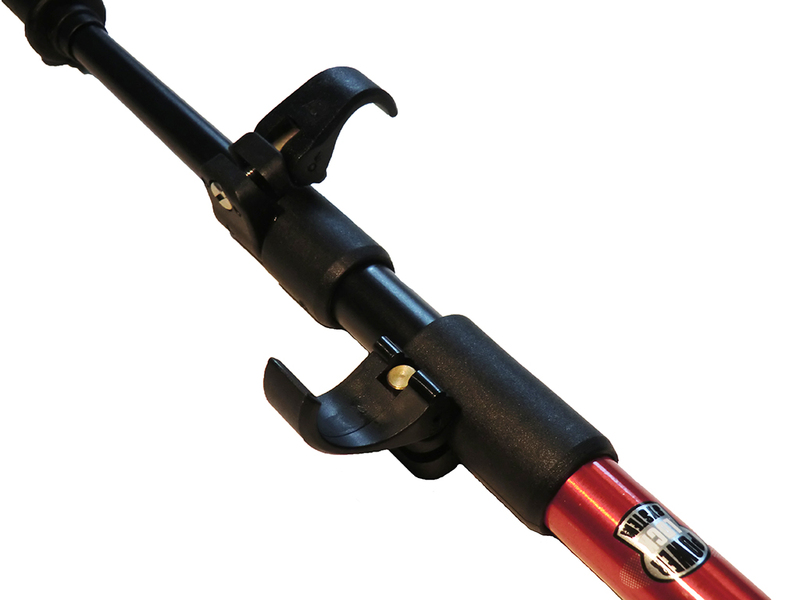 Komperdell's Powerlock Trekking Poles sport extended foam grips, allowing you to grip the poles lower on traverses or steep slopes instead of having to stop and readjust the pole lengths. 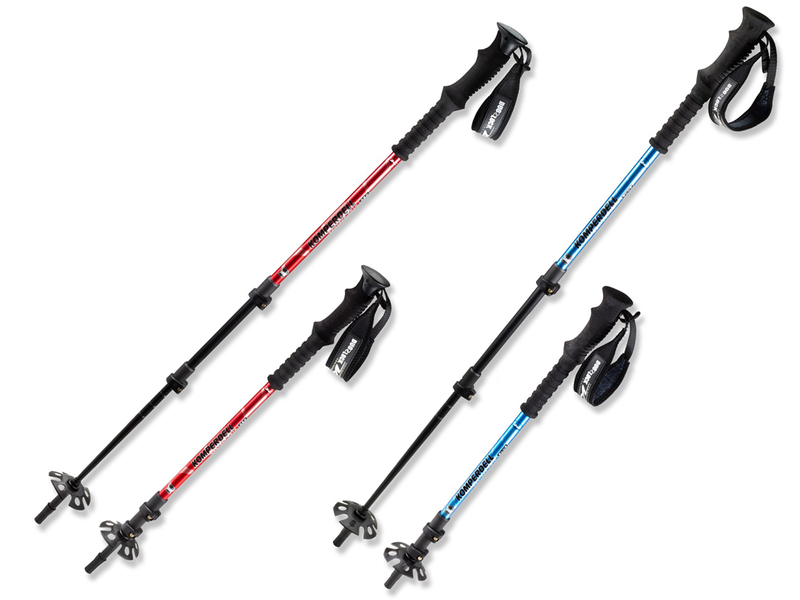 The three-section telescoping trekking poles are lightweight, strong, and corrosion resistant. Komperdell's Powerlock system makes length adjustments easy and secure. 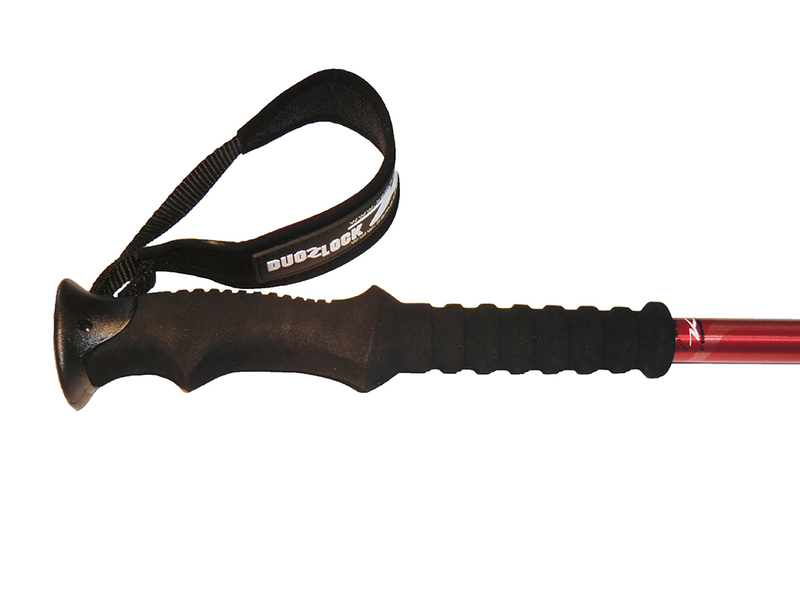 Poles feature EVA foam grips, neoprene straps, and tungsten carbide tips. Snow baskets are included and trekking baskets are available. After mixed success with a pair of inexpensive trekking poles, I was excited to try the Contour Foam Powerlock trekking poles by Komperdell. My first trip with these poles was a long, 8-mile snowshoeing (w/light mountaineering) trip to Maxwell Butte. The first thing I noticed was how easy it is to adjust the poles with gloves on. This is my favorite feature of the poles. With the Powerlock system, you simply open the clip on each lock (two per pole), telescope the sections to your desired length, and then push/squeeze the locks closed. It's quick and reliable. There are graduated marks every 5 cm on the lower two sections of the poles to make setting the length easy. My wife and I have yet to have a collapsed pole and we have subjected them to some pretty rough terrain. I also often use the poles to catapult over rocks or around trees (when not in snow). One thing to watch out for if wearing gloves while adjusting the pole lengths is the possibility that they might become caught in the locking mechanism. I have pinched my gloves a couple of times when I wasn't paying attention. Fortunately no damage was ever done and it was easy to free my gloves. The included snow baskets work as they should preventing the poles from sinking in too far. The are very durable and show no signs of stress, unlike other designs which can easily break. I have also purchased and used trekking baskets on the poles with the same success. They easily interchange by firmly twisting them on and off (twist to the stop point). Once attached, they remain firmly in place. Our Komperdell Contour Foam trekking poles have held up very well so far. Besides the normal scratches and scrapes on the lower sections, they still look and function like new. I have not had any issues with bent poles even after lodging the poles between rocks while hiking. These poles do not feature anti-shock technology, but I personally haven't found it necessary (nor has my wife). We both look forward to many future adventures with our Komperdell trekking poles. See Maxwell Butte, Blood Mountain, and Coyote Wall adventures where the Komperdell Contour Foam Powerlock Trekking Poles were used. 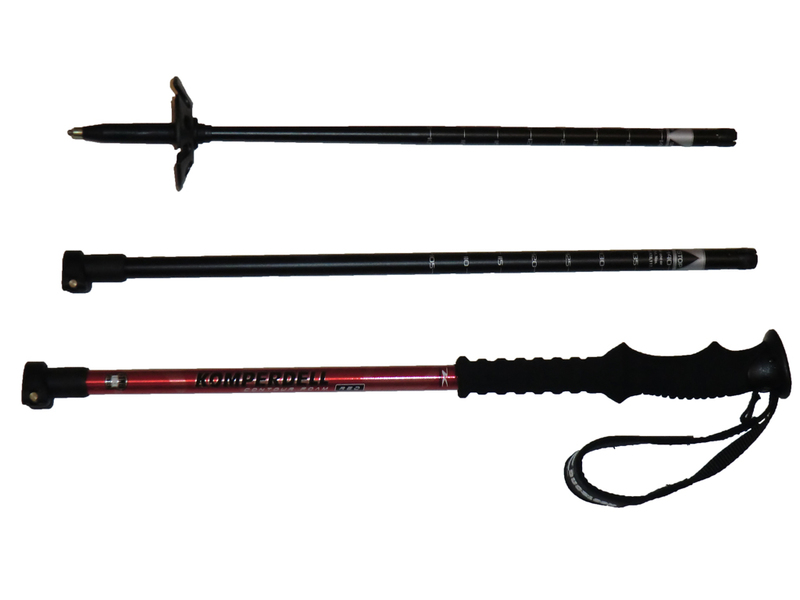 Both my wife and I have been very happy with our Komperdell Powerlock trekking poles. 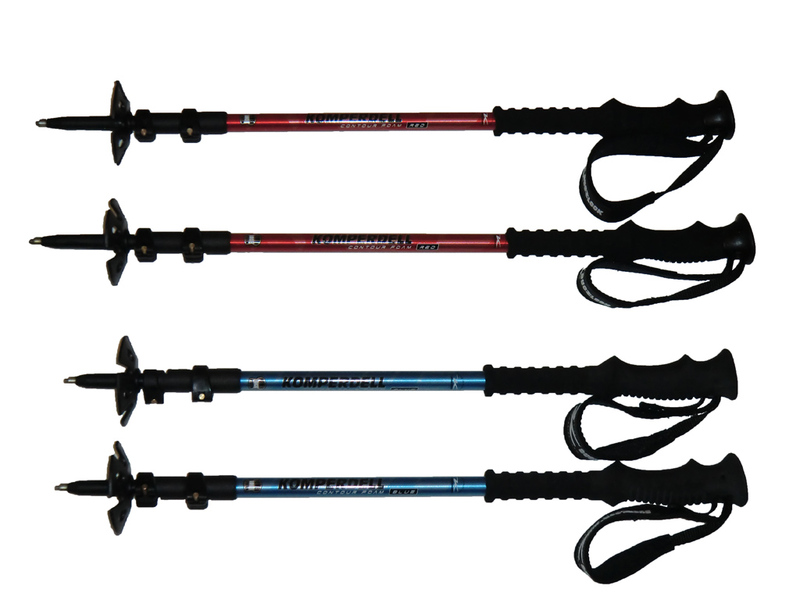 The easy and reliable locking system coupled with high durability and versatility earn these trekking poles a highly recommended rating. I absolutely love the Powerlock system. Similar models available from amazon.com. Hi there, I just read ur review and interested in getting one of them, however U couldnt find the price as you mentioned in your review, u got them for $55.93! I will be really appreciated if you can kindly tell me where u get it from, thank you so much!! I purchased the Komperdell trekking poles from reioutlet.com, but it doesn't appear they are available any longer.